Gabaldon mesmerized readers with a love story that spanned two centuries in Outlander and Dragonfly in Amber. 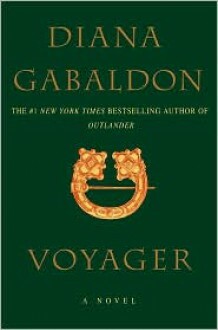 This new novel in Gabaldon's highly acclaimed time-travel saga again features intrepid time traveler Claire Randall and Jamie Fraser, the gallant 18th-century Scottish clansman who stole Claire's heart and whose memory will not loosen its hold on her, even across the chasm of centuries. Lost one star due to all the crazy coincidences! Still love my Jamie (oh and Claire). fast paced and different than Dragonfly in Amber. I'm amazed at how Gabaldon can take characters and bring them back full circle. Great read! !